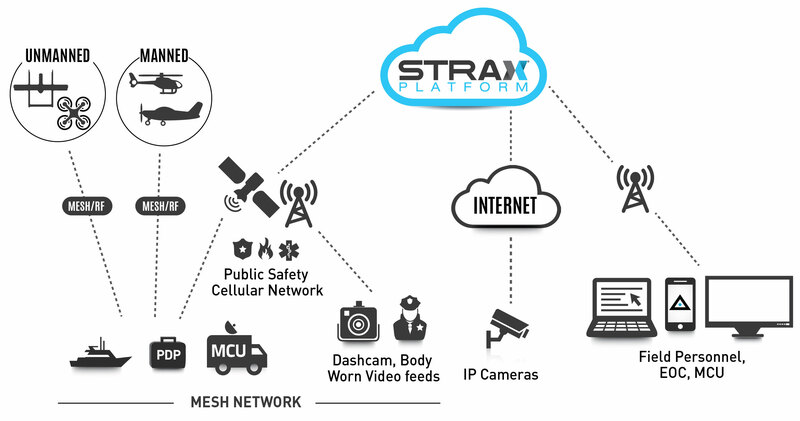 The STRAX® secure cloud-based platform and IER™ Intelligent Event Response technology delivers real-time video, data feeds and advanced analytics for greatly enhanced situational awareness and improved disaster planning and response. 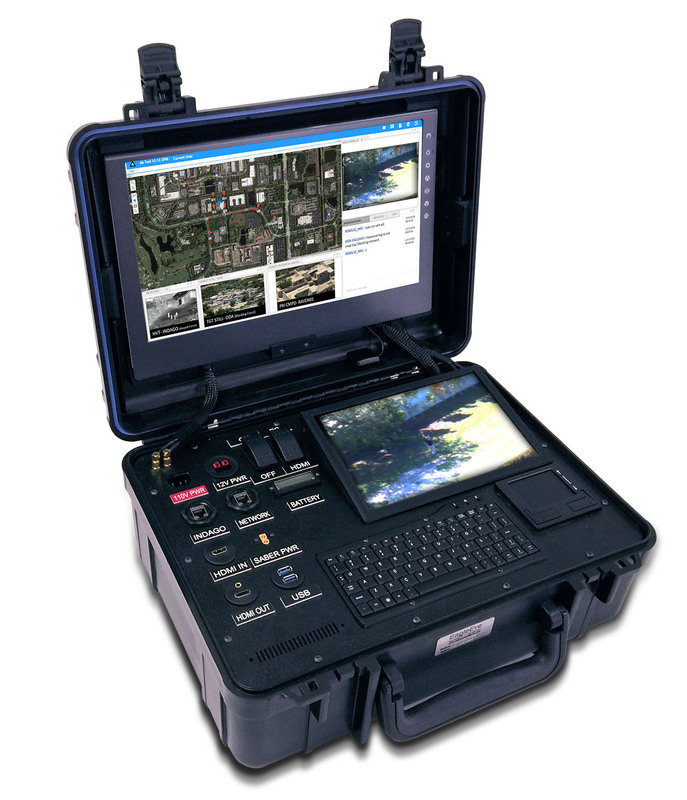 The Portable Deployment/Datalink Pack (PDP) supports multiple datalink options including bonded cellular, Wi-Fi/radio, mesh, and satellite. 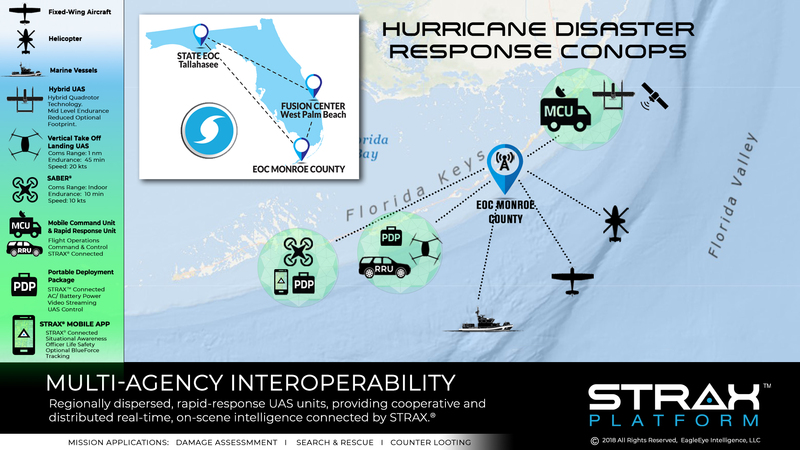 The STRAX Platform provides real-time connectivity and a common operating picture designed to support Emergency Operations by delivering simultaneous live video streams throughout the state. From staging of supplies, pre-storm inspections, and monitoring evacuation traffic to post-disaster response: PLAN, DETECT AND RESPOND quickly and efficiently. EagleEye Intelligence provides secure and reliable mission-critical datalink solutions that offer multiple connectivity solutions enabling redundant pathways that maintain connectivity even during times of high congestion and cellular outages.